Porsche's newest announcement at the Geneva Motor Show has caused a stir. The new 911R delivers what enthusiasts want. It's a no frills, emotionally powerful driving experience; a car by enthusiasts for enthusiasts: Just over 3,000lbs, 500hp, and steering fine tuned to channel even the smallest details. Porsche's paint scheme and marketing tie the newly announced 911R to 1967's 911R. The original 911R was Porsche's first official attempt at a homologated 911. The body received a good amount of lightweight features with fiberglass panels and plexiglass windows. The Carrera 6's prototype race car engine was adapted, which gave the 911 chassis some seriously fast performance. I say attempt, because the FIA did not let it pass. 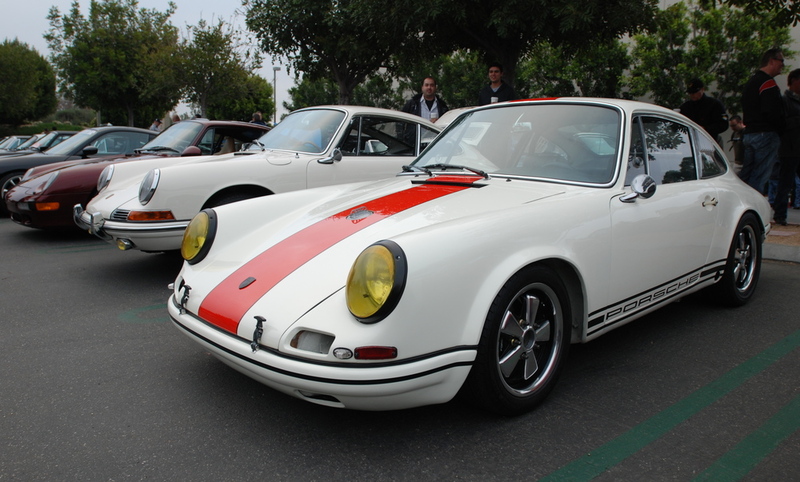 Only 4 prototypes and 20 other cars were built, making the 1967 911R an extremely rare and desirable car. It's a good move by Porsche and one that enthusiasts will likely celebrate everywhere. Porsche's new car comes across like a vintage, emotional driving machine. It's purer, it's raw, and it might be Porsche at their best right now. What is it about Barn Finds?